Quilt Raffle tickets will be available July 15th! 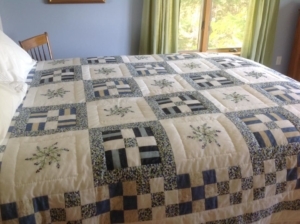 The 2018 Blueberry Festival quilt is done! 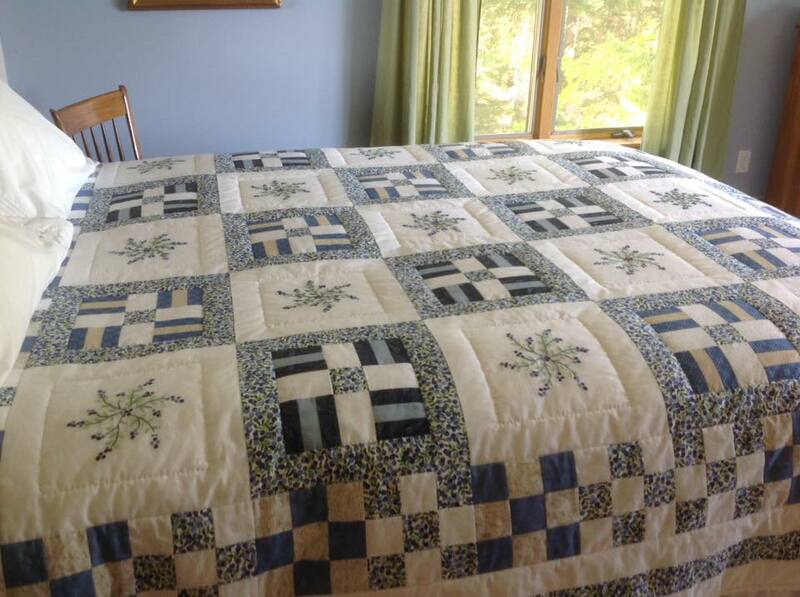 And this year’s custom designed, hand-made quilt is exquisite! The eagerly anticipated treasure will soon be ready for display and raffle tickets can be purchased beginning July 15. Each year’s quilt features a different blueberry pattern. This year’s design was created and lovingly crafted by Lisa Carlisle. Raffle tickets will be $1 each. The winning ticket will be drawn Sunday afternoon, August 19, 2018. You don’t need to be present to win! Watch this space to find out when and where you can see the 2018 Blueberry Festival quilt on display before the festival. Purchase raffle tickets during the Machias Wild Blueberry Festival Information booth next to CSCC during the festival. Prior to the festival, tickets are available from the church during the week. 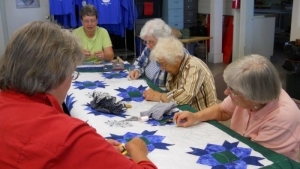 A team of quilters creating a past year’s quilt.